Book Review: Expat Jimmy – Writer. Traveler. Tea Drinker. Expat Jimmy is the latest book from blogger and writer Travis Lee. I will start with an apology because I’m a total jerk. Travis sent me the book ages ago, and I read it, and then I completely forgot about it and never wrote about it. Total duh moment. Expat Jimmy is a novella, only 60-something pages and is an enjoyable and easily digestible book. It takes place all in one day, the day a new foreign teacher arrives in Wuhan, China and is shown around by a more cynical/jaded teacher named Adam. In the course of one day as they they weave in and out of the city, they also weave in and out of typical Chinese situations and are confronted with traditional Chinese culture as well as modern expat problems. Adam is cynical and jaded and has no problem paying for hookers, selling drugs, day drinking and littering. He’s basically meant to be the typical jaded English teacher who can’t handle a real life back in their own country. But he speaks fluent Chinese and sells drugs not for himself but so he can take care of a Chinese family which shows some morals and respect for the culture. I’ve known my fair share of douchey jaded English teachers in China and they usually have no regard for the culture or the people, so Travis wrote Adam with a bit of a sympathetic eye and avoided making him a real stereotype. The main character, Jimmy, is naive and wide-eyed and excited to be in China. He takes pictures, throws his garbage in a trash can and generally tires to be respectable to Chinese ways and culture. Basically how most of us feel when we first arrive. But under the guiding hand of Adam, Jimmy is shown the, errr, less idealistic parts of China and he quickly falls into the path of becoming jaded and cynical too. 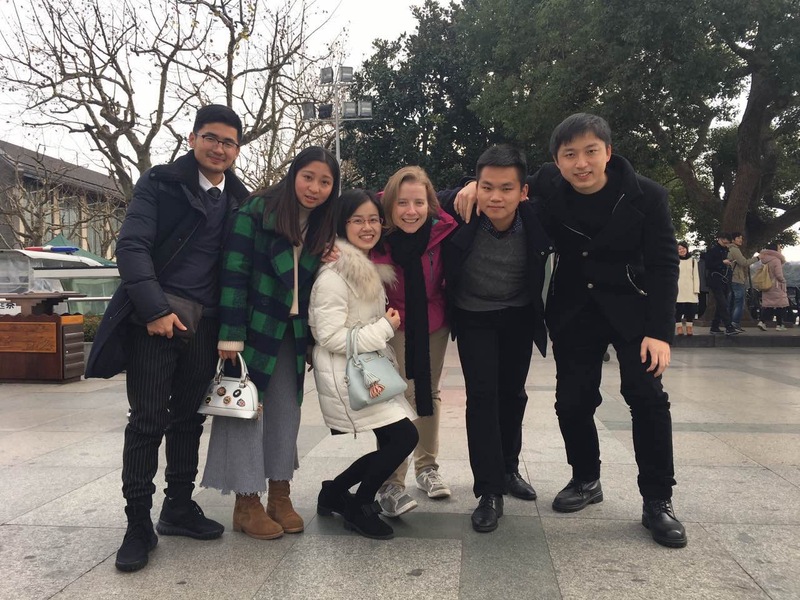 In the course of their day, Jimmy is introduced to many parts of Chinese culture, and what it’s like being a foreigner and packs a surprising amount of info into it. Some of it is outdated as Jimmy arrives in 2008 when restrictions and rules were lighter (they talk about Facebook because back then Facebook wasn’t blocked as it is now) but most of the information still stands. If you want a quick read and get a look at Chinese culture (with an emphasis on the seedier side of life) then I recommend you pick up Expat Jimmy from Amazon. Also, if you want to read an interview I did with Travis Lee head over to his website. Wow, I am finishing up four years in China and because I lived in a third tier city, and I’m old and naive, I never encountered this seamy side of things! Thank goodness! I couldn’t tell any new teacher the first thing about how to get a prostitute or drugs. I did meet one other teacher who was crazy, but not douchey in that way. Sounds interesting.